The most important decision you can make when buying or selling a home is to find the right REALTOR®. You need someone with experience, knowledge, skills, ability and someone who is dedicated to looking out for YOUR best interests. 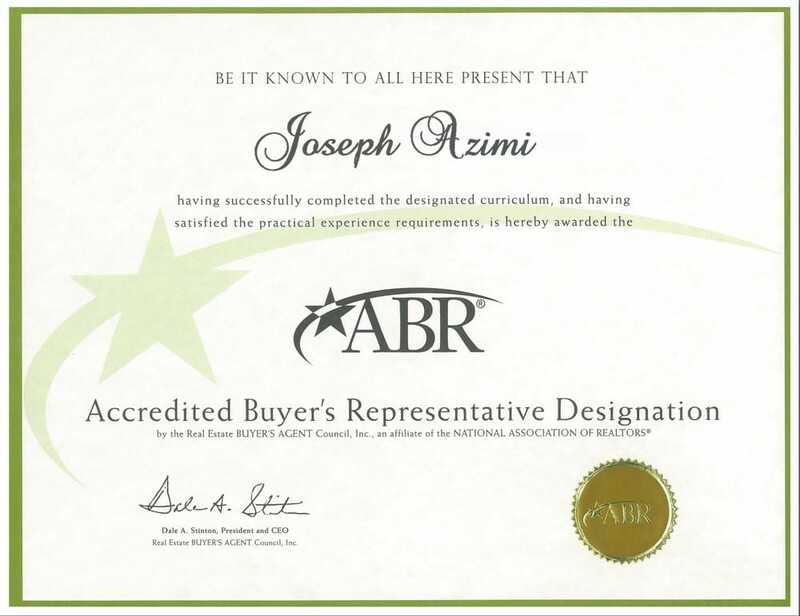 Joseph Azimi is a team leader, a top and award winning RE/MAX “Hall Of Fame” Real Estate Broker, specializing in the purchase and sales of luxury properties. 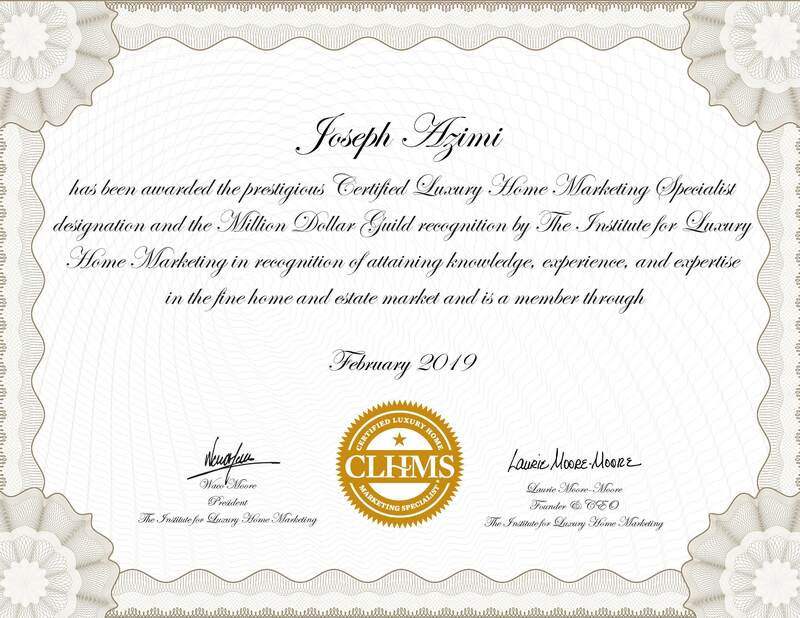 His one-of-a-kind, maximum services and maximum results guaranteed program make him the go-to expert for identifying the best properties for individuals, families, first-time home buyers, sellers, and investors. 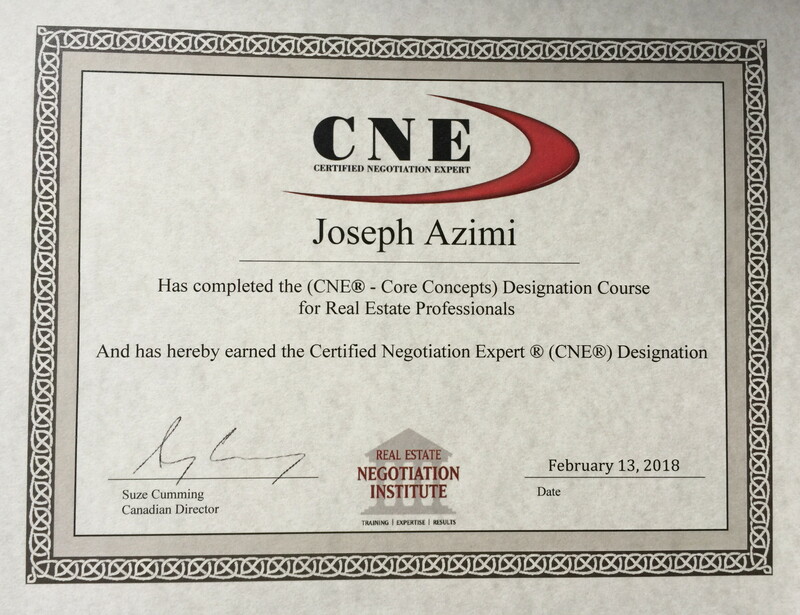 Joseph has had over 25 years of experience working in various capacities within the service, financial and real estate industry, with many years of experience working in retail, mortgage financing, insurance, and real estate — Helping his clients within every facet of the residential, commercial, investment, development, space, including property rehabilitation, foreclosures, and short sales. Experience & Expertise in Sales & Service. Selling, Marketing & Negotiating Expert. Outstanding Real Estate Track Record. 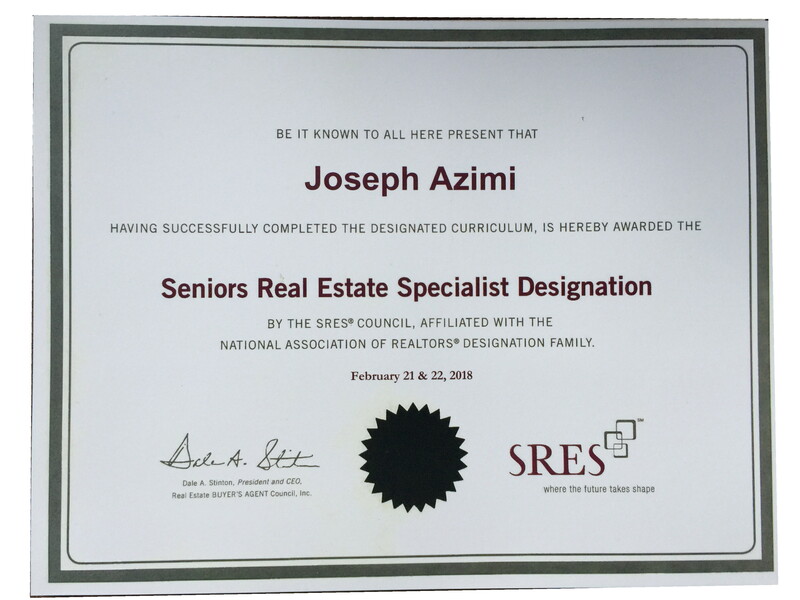 Real Estate Staging & Marketing Expert. Feng Shui & Vastu Practitioner.